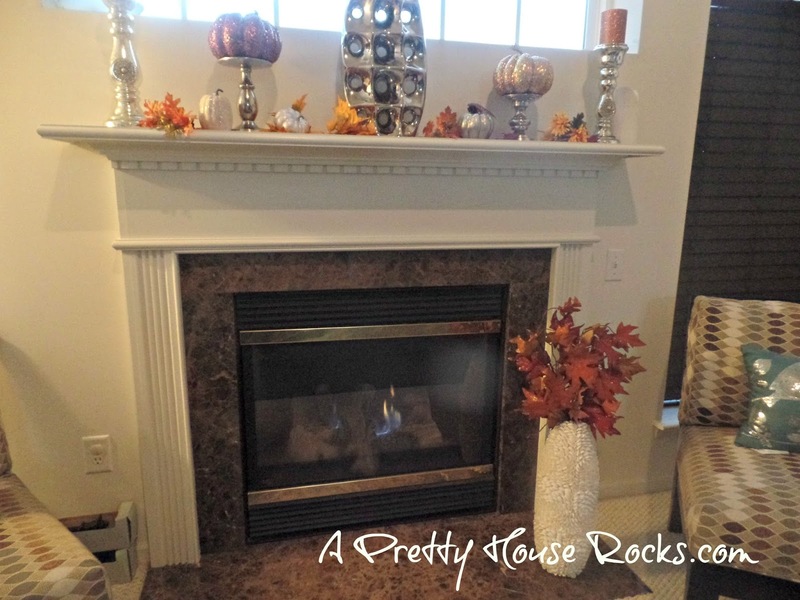 ...AND I just love an excuse to decorate for the holidays...any holiday really....but there's just something about the winter holidays. 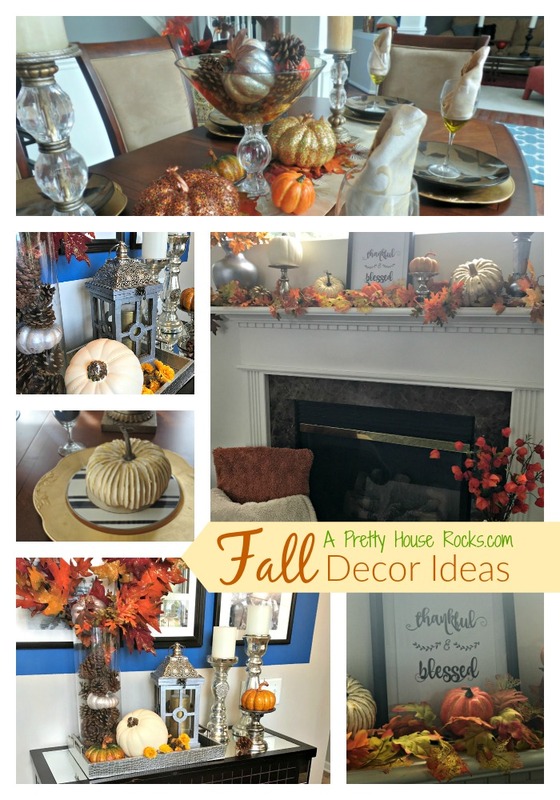 This year I wanted to add some silver decor ...something a little different for me for the fall season. 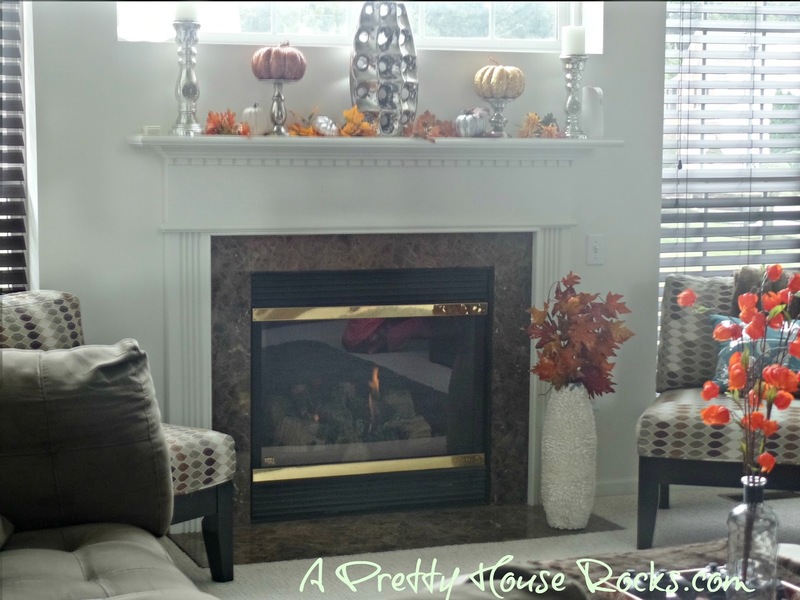 So I began with my fireplace and my family room. 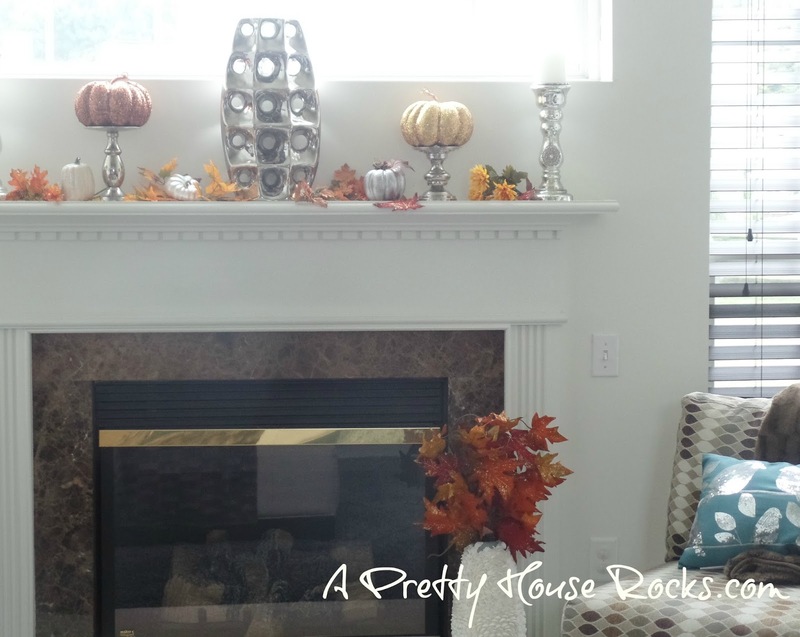 I used all my leaf garland on my dining room table, so I had to improvise by using these dollar store fall flowers to decorate the mantel. 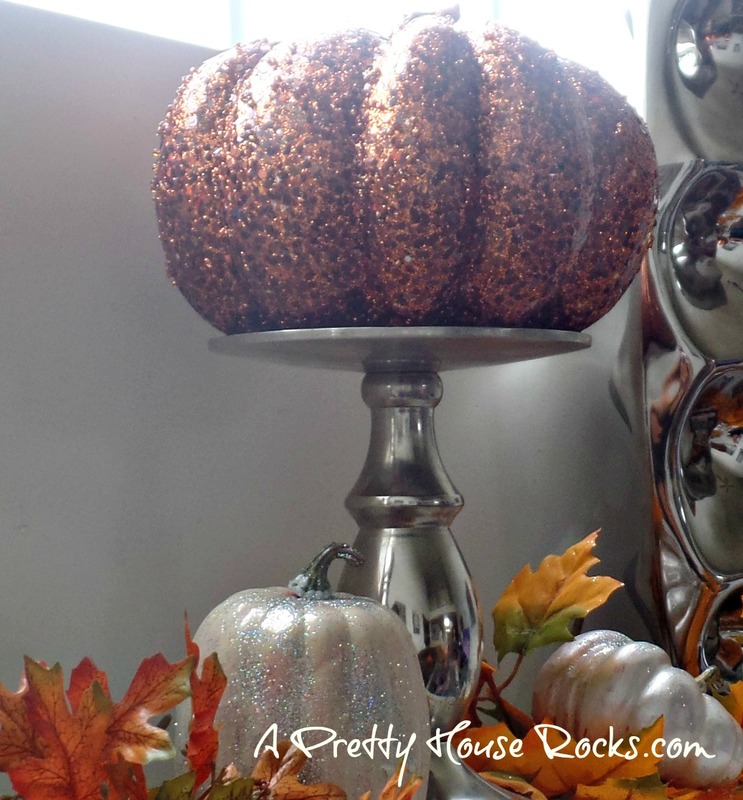 I used candle holders and added big pretty pumpkins instead of candles. 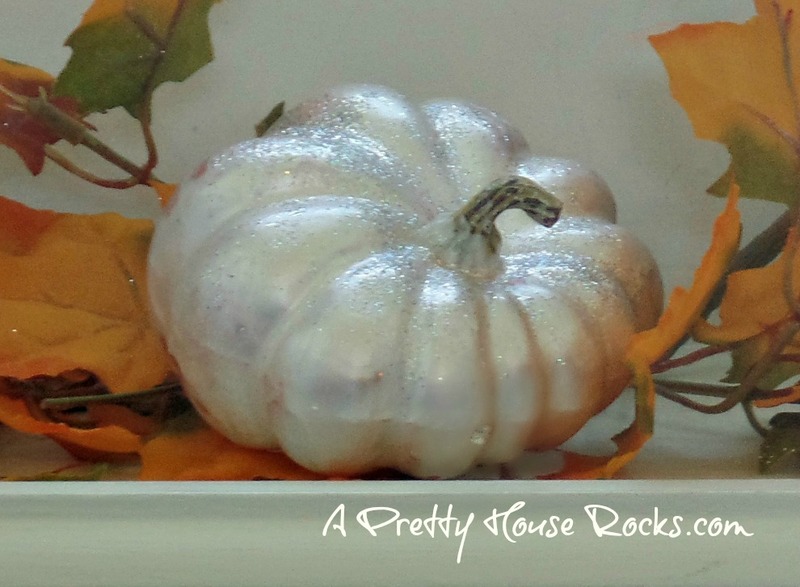 To add some silver decor, my daughter and I spray painted these orange plastic pumpkins silver and white and while still wet, we sprinkled some silver glitter. 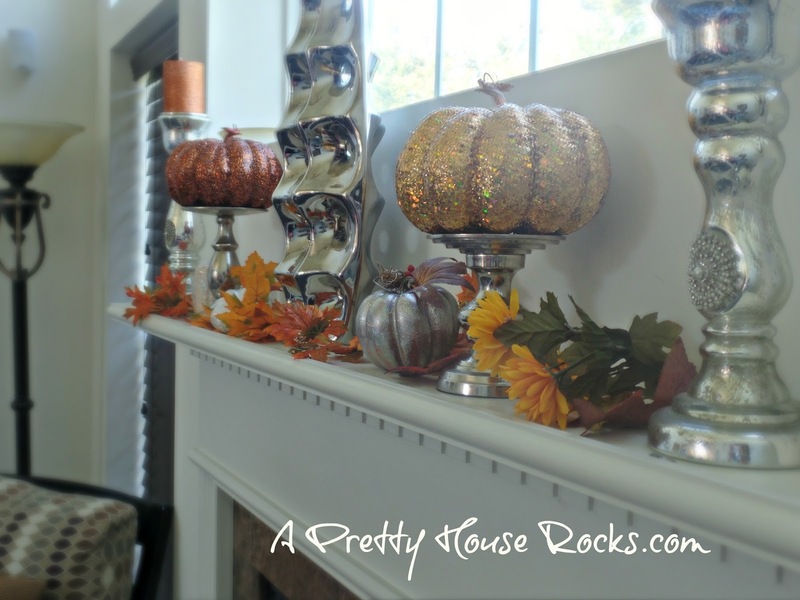 We loved the way they turned out! 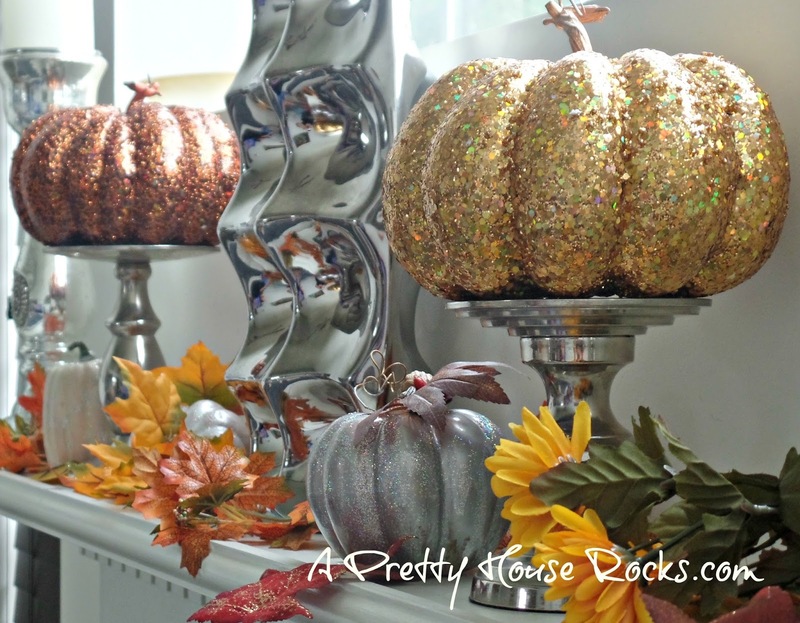 Plus my daughter was dying to use that glitter on something! There's no losing with spray paint! 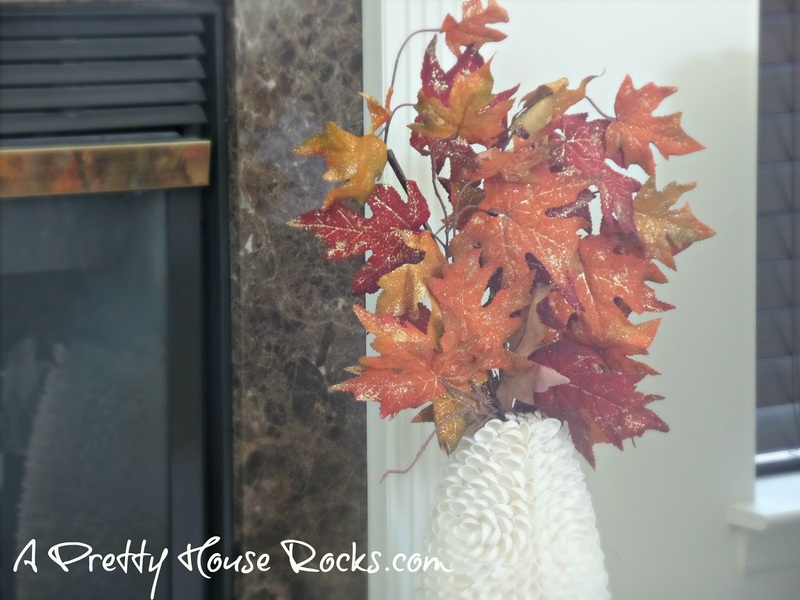 I got these fall leaves from Michael's last year...they are so vibrant and they look so real! I hope you enjoyed these pics! Thanks for visiting!